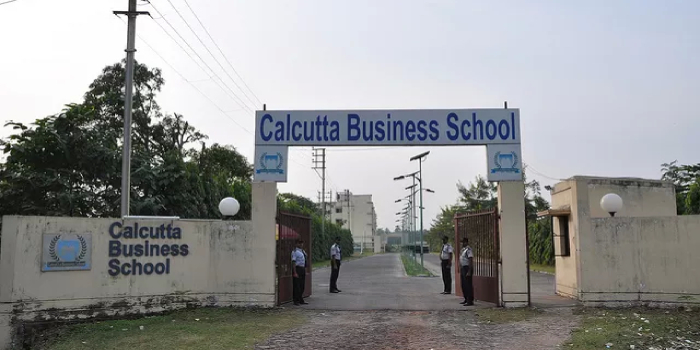 Calcutta Business School, Bishnupur has announced the admission for its two-year full-time Post-Graduate Diploma in Management (PGDM) programme for the Academic year 2018-20. Aspiring candidates can check all the details related to the admission process. Here is the complete admission notification for PGDM at Calcutta Business School. The mode of application is online/offline. Candidates can apply online on the official website of the institute. The application fee for the programme is Rs. 1500. Graduates with a minimum 50 per cent marks in any discipline from a university recognised by UGC/AICTE. Candidates appearing in the Final Year of Bachelor's Degree in 2018 may also apply if they complete their graduation by June 2018 and submit their graduation results by September 30, 2018. Candidates who fulfill the eligibility criteria can fill the application form online/offline. The institute will decide the final selection on the basis of the candidates' profiles. Your Calcutta Business School, Bishnupur brochure has been successfully mailed to your registered email id .